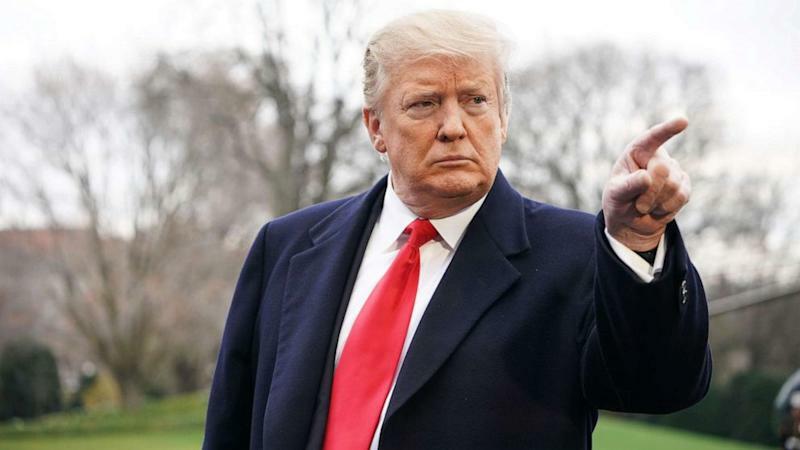 While President Donald Trump's lawyers are preparing a legal defense to what might be in special counsel Robert Mueller's report, Trump himself is already casting the fight in stark political terms, arguing unelected bureaucrats were trying to "make a determination on my presidency." He's now repeatedly gone on the offensive against Mueller and the man who appointed him -- Deputy Attorney General Rod Rosenstein -- trying to discredit their legitimacy by arguing they "never got a vote" and have no business sitting in judgment of him since millions of voters elected him president. In an interview that aired on Fox Business on Friday, Trump kept up the politically-themed attack. "Well, it's always interesting to me because a deputy that didn't get any votes appoints a man that didn't get any votes, he's going to write a report on me. I had one of the greatest election victories in history -- wouldn't you say that's true?" Trump told Fox anchor Maria Bartiromo. "They came from the valleys, they came from the rivers, they came from the cities, they came from all over, they voted in one of the greatest elections in the history of our country... Think of it, I have a deputy, appoints a man to write a report on me, to make a determination on my presidency, people will not stand for it." The president and his allies have accused Democrats of supporting the Mueller probe because they are upset with the results of the 2016 election. He has kept the message simple and repeated it almost daily, often multiple times in a single photo-op, calling the inquiry a “witch hunt” and a "hoax." He did so again Friday as left the White House on a trip to Florida. "There was no collusion. There was no obstruction. Everybody knows it. It's all a big hoax. It's -- I call it the witch hunt. It's all a big hoax," Trump said. And he went after congressional Democrats and their investigations as well, with an argument he hopes will catch on with the public. "It's just a continuation of the same nonsense. Everybody knows. They ought to go to work, get infrastructure done, and get a lot of other things done instead of wasting everybody's time," he said. Speaking to reporters on the White House South Lawn on Wednesday, Trump said he would not object to Mueller’s report being made public, but went on to re-litigate his 2016 victory over Hillary Clinton. “I think it's ridiculous, but I want to see the report, and you know who wants to see it? The tens of millions of people that love the fact that we have the greatest economy we've ever had,” Trump added as he departed for a speech in Lima, Ohio. What the Democrats have done in trying to steal a Presidential Election, first at the “ballot box” and then, after that failed, with the “Insurance Policy,” is the biggest Scandal in the history of our Country! “They try to take you out with bulls****,” the president said of Mueller’s investigation. But despite the complaints from Trump, most Americans believe that Mueller is conducting a fair investigation. In a poll conducted by Quinnipiac University earlier this month, 54 percent of Americans, including 56 percent of Independents and one-third of Republicans surveyed, said they believe Mueller is conducting a “fair investigation,” into any links between Trump’s campaign and the Russian government. The attempts from Trump to already define the political debate swirling around Mueller’s report also come as the Democratic presidential field has grown to over 15 candidates and includes three members of the powerful Senate Judiciary Committee: Senators Amy Klobuchar, Cory Booker and Kamala Harris. Democrats running to challenge Trump in 2020 have been careful to avoid speculating on the details of any announcement or report from Mueller, as well as how they plan to respond. "I am an advocate for transparency. I am an advocate for a public report. 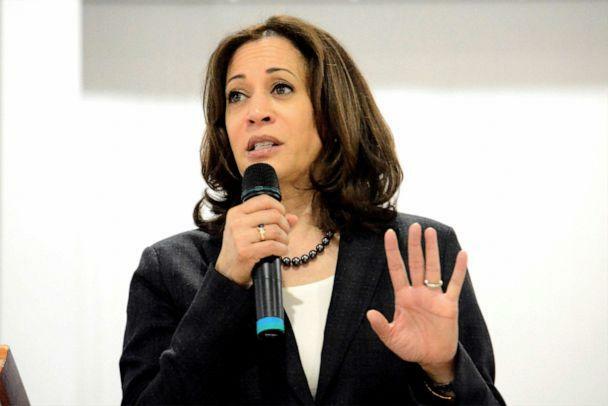 And certainly that we in the United States Congress would receive all of the supporting information, be it in a classified hearing or not," Sen. Kamala Harris, D-CA, told CNN last month. Former Texas Rep. Beto O’Rourke, another top contender for the Democratic nomination, deferred to Congress when asked whether or not he supports the impeachment of President Trump, something he said he would have voted in favor of while he was running for the U.S. Senate in Texas last year. “I leave it to Congress, where the power resides in our Constitution, to make the decision based on the facts that are available now or those that are provided in the Mueller report,” O’Rourke told reporters last week outside of a campaign stop in Washington, Iowa. “You’re asking me has the president committed impeachable offenses, yes, period,” O’Rourke added in response to a follow-up question. But top Democrats, including Speaker Nancy Pelosi, have all but ruled out impeachment, tamping down expectations and arguing that backlash to the effort could help the president. They plan to continue conducting oversight and following up on Mueller’s work after any report is issued. 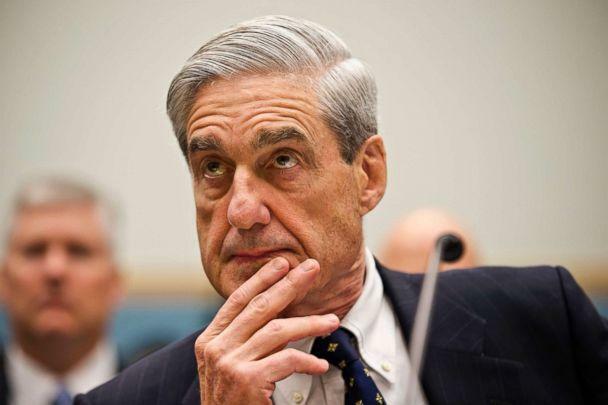 For their part, some congressional Republicans are preparing to use elements of Mueller’s report to push back on some of Democrats’ investigative plans, to continue to depict some of their inquiries as partisan attacks to undermine Trump.